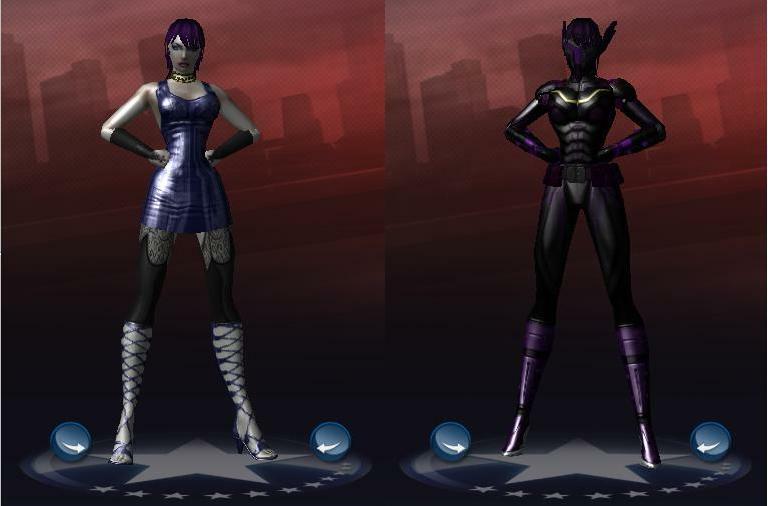 So I totally redid my Mystica and Cytech images, lol. Cyan/Mystica (No squad)- "My magic might be black but my heart is pure"
These look great! Were they done back in CoH? Interesting. I did draw the old version of Mystica for the blog I have about trans superheroes (I mentioned that here last year--I think it's the post right under this one) so I may have a little bit of a connection to the old design, but the new one does still look nice. Your not alone. I've missed Noah and Veronica to, lol. Verdant wrote: These look great! Were they done back in CoH? Yep, a month or so before they killed the servers. 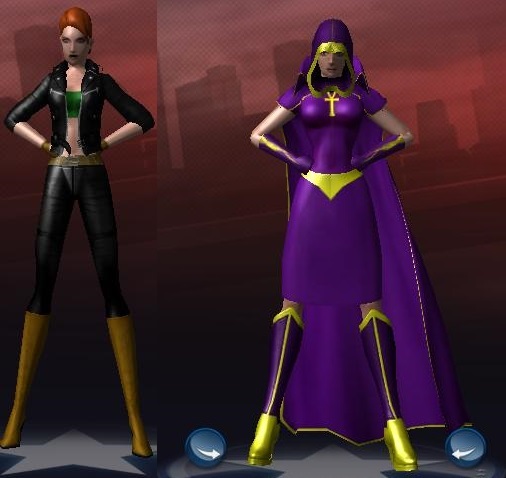 Well the caped Mystica anyway. 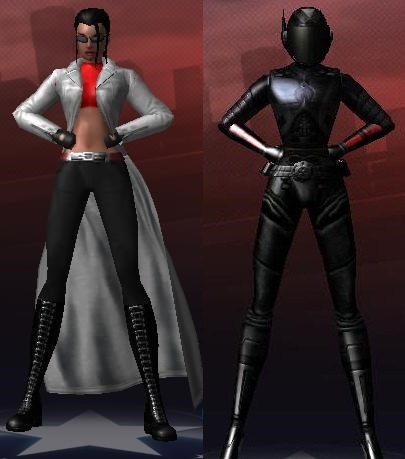 The street version/Les Chevaliers version was her default appearance in CoH. ShastaB24 wrote: Interesting. 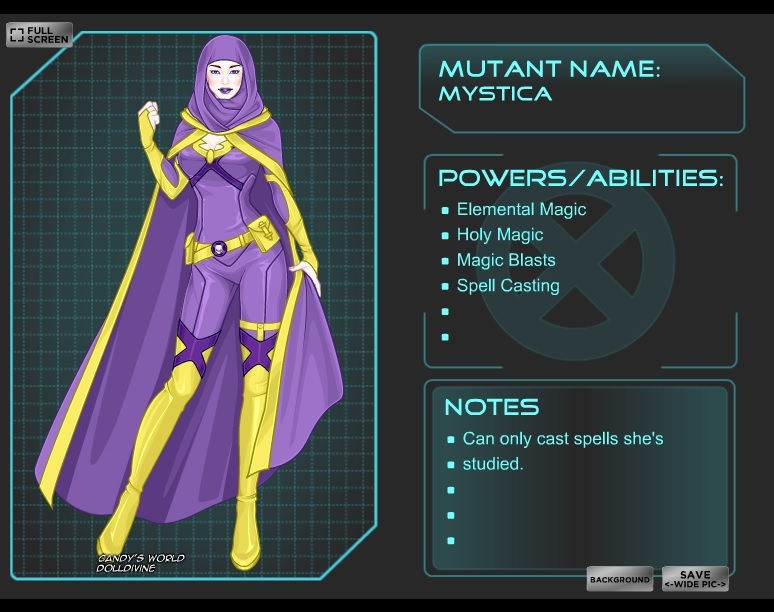 I did draw the old version of Mystica for the blog I have about trans superheroes (I mentioned that here last year--I think it's the post right under this one) so I may have a little bit of a connection to the old design, but the new one does still look nice.